The digital premise has always been about ease, speed and accessibility. Goods delivered to our doors, banking without lines or queues, communications across continents taking seconds and not days. So why is proving identity harder in the digital world compared to the physical realm? To use a dance analogy, has technology led with the wrong foot? And what can we do to correct this? Taking a step back, let’s look to what happens in the real world. I am attending a dance and a waltz starts. I look around for a free partner, walk over, introduce myself and ask if they would like to dance (or vice versa, this isn’t about who leads). During the course of the dance, we both learn each other’s dance styles, and whether they are compatible. We may talk, or we may be focused on the dance, either way I have identified my partner, and verified their dance credentials. The following week, I go back to the dance. A waltz starts, and again I am looking for a partner. I spot the same person from last week, ask them to dance, and off we go. Seems simple enough, would the process change if it was a salsa? Or if it was a different yet still local dancehall? Probably not. What would it take for me to ask them to further prove their identity? They would have to drastically change the way they look, or be in a very different setting, and then I would need to be reminded of how we knew each other. How does the digital world tackle this simple process that has been honed for centuries? Before entering our digital dancehall, I need to identify who I am, and provide a way of verifying this. I select a username, which could be my name, or a made-up moniker, I will also be asked for a password / use of my phone biometric, which for the future will be used as an authenticator. I then have to verify that I am someone by confirming the username via my email, or ticking a box that says I will not be a dancing (ro)bot. So far, so complex, and if we fast forward to the next week, in this virtual world, my dancing shoes are on once more. I approach the dancehall, I enter my ID, and I then need to authenticate i.e. prove my id in order to gain access. These steps have to be replicated, time, after time, after time; bearing in mind I am in the same location, doing the same activity, with the same behavior, every single week. This just doesn’t jive, how did the digital world, get so muddled? 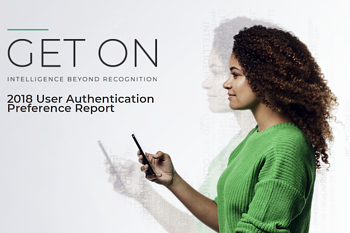 Why is the physical world made easier, faster and more accessible for identity, verification and authentication? How are we still relying on passwords to prove who we are? Or physically going to bank branches to verify who we are? And how do we get our digital rhythm back? Looking back, we didn’t have the technological know-how to assess identity in a single step, the way that humans do when they meet and catch-up with each other. But we do now. Intelligence driven behavioral analysis means we can learn and assess digital attributes, just as we do physical ones. How we type, swipe or use a mouse, is our digital body language. Our locational habits are mirrored thanks to mobile phones rarely being far from our person. And looking at our devices themselves, they change less than our hairstyles, and haircolor (at least in my case). Back in the dancehall, and we are set for the digital tango, I still need to introduce myself at first, and verify my dance credentials. It is critical that the dancehall remain secure - we need to be able to trust our dance partners during high risk moves. But once identity is established and confirmed, just like the physical world, unless I significantly change my behavior, location, and device, I can be trusted that I am who I say I am. I can approach my partner for the dance, and start dancing, without needing to share my first pet’s name, who my childhood friend was, or for the sake of decency, the need to imprint my finger, every single time we dance.